New Renewal functions are coming to your platform this week! 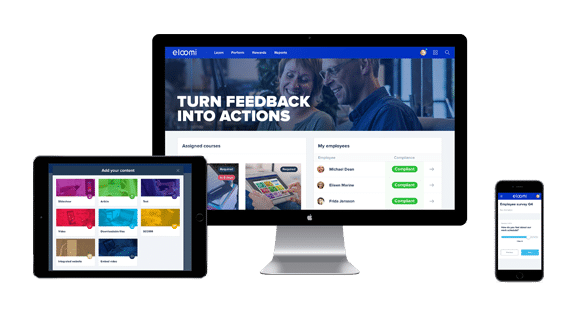 Catering to the business needs of Learning & Compliance Managers, we are now adding a new capability to help streamline and automate all aspects of recurring training events. To help our customers achieve operational excellence and consistency, we have reinvented our module and programme renewal functionality to better suit these needs. 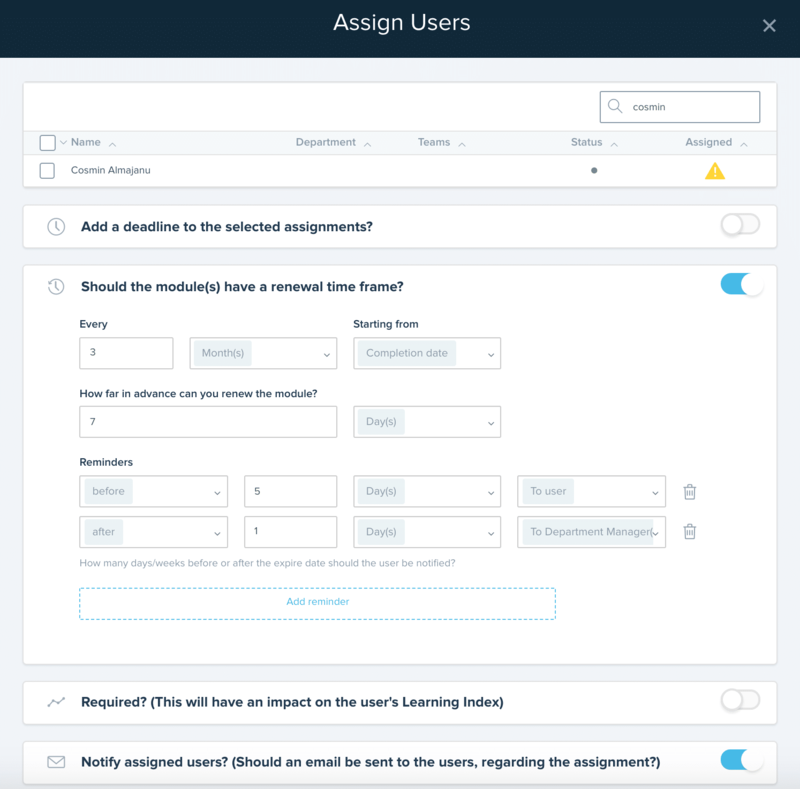 This update will be something that will help secure automated flow to keep your workforce trained and skilled. Where can you find the functionality? pop-up and can also be found in the program builder. It is possible to apply individual renewal settings on different courses or even on different assignments within the same course. The new Renewals function will be found before assigning the module. – Ensure you toggle “ON” for the renewal setting. – You can select a renewal to take place from on a specific date, from the date of module assignment, based off the user creation date, when the user was activated or from their employment start date. – Users will be able to see their status on their renewal module and when it expires. – There is a possibility to set specific reminders for the renewal. Already using the renewal functionality? If you already are using renewals, we made sure that all settings are the same as they were before. If you have questions about this, please feel free to reach out to your Customer Success Manager and they will be more than happy to tell you more.